Continuing my series of looking into Nashville Predators draft classes, check out why the team's 2000 Draft class was an average one after Dan Hamhuis. Ruslan Fedotenko may have never been a big-time scorer in the NHL, but nobody will forget just how good he was during the 2004 Stanley Cup playoffs. Let's look at some of the best underdog performances in post-season history. The 2000 Draft was a bad one for the Nashville Predators with five of their 12 picks reaching the NHL. Learn who their picks were and what became of them. Hurricanes captain Justin Williams has been selected by his teammates as the winner of the 2018-19 Steve Chiasson Award. In the penultimate Predators Weekly of the regular season, Viktor Arvidsson had a big week, scoring his 100th career goal and tying a franchise record. Philadelphia Flyers: Did They Win Or Lose The Carter And Richards Trades? Quick Shifts: Can Calle Rosen rescue abysmal Maple Leafs defence? Toronto's Calle Rosen was peaking perfectly... until the bad luck, the Maple Leafs' swoon has reignited the captain debate, Jonathan Toews talks Dylan Strome and his new coach, plus 9 more NHL things. While expensive contract extensions that kick in after age 30 can be scary for teams and fans alike, for the Winnipeg Jets and Blake Wheeler a reassuring precedent exists in the form of Joe Thornton. 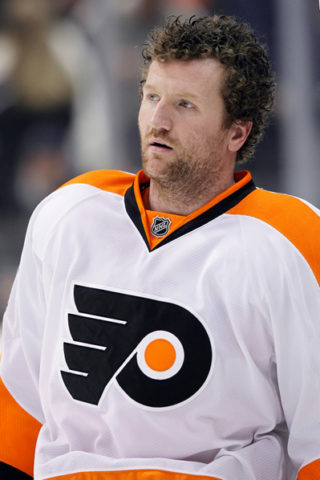 No recent tweets from Scott Hartnell.